Days after Lion Air JT610 flight crashed in Karawang, North Jakarta, the authorities have finally retrieved one of the flight’s two flight recorders, more commonly known as black boxes, near the location where the downed aircraft sent its last transmission. The flight crash has puzzled aviation experts, considering that the plane used a new and popular Boeing 737 MAX 8 aircraft and the good weather during the flight. The discovery of the flight recorder is expected to shed light on what happened during the final moments before the crash as well as determine the cause of the accident. According to National Transportation Safety Committee (KNKT) head Soerjanto Tjahjono, the retrieved black box was very likely a flight data recorder (FDR), which recorded data such as altitude, direction and vertical acceleration. Soerjanto further stated that it would take at least one or tow weeks for the committee to thoroughly read and deduce the recorded data. Transportation Ministry reportedly invited the manufacturer of Boeing 737 MAX 8, Boeing Co, to evaluate several aspects of the aircraft model. The Boeing 737 MAX 8 model was used by the crashed Lion Air JT610 flight. Transportation Minister Budi Karya Sumadi said that a discussion between his ministry, Boeing Co and the National Transportation Safety Committee (KNKT) would be conducted in the next two days. Reportedly, the height and speed of Lion Air JT610 flight were not normal before it crashed in Karawang. Following the crash, a team organized by the government inspected all 11 Boeing 737 MAX 8 models used by Indonesian airlines. Lion Air owns 10 models, while Garuda Indonesia owns one model of this aircraft. The inspection concludes that all models are deemed good to operate. Previously, regulators checked alleged indication of repetitive problem and troubleshooting in Boeing 737 MAX 8. Regardless, it remains possible for the regulators to conduct second inspection after the discussion with Boeing Co and KNKT. A number of figures from Muhammadiyah and Nahdlatul Ulama (NU), two of the largest Islamic organizations in Indonesia, urged the public not to participate in a public rally labelled as Defending Tauhid 211. Muhammadiyah chairman Haedar Nashir called on members of Muhammadiyah not to participate in the rally, saying that the rally appeared pointless and had the potential to cause a public disruption. Haedar further stated that members of Muhammadiyah who decide to attend the rally should come as a private citizen rather than a member of the organization. Similar call was also made by one of NU’s prominent figures, Gus Sholah, who deemed the rally meaningless. The Defending Tauhid 211 rally is scheduled to be conducted today after Friday prayer in front of the Presidential Palace, Jakarta, and will be reportedly attended by members of the National Movement to Safeguard the Ulemas’ Fatwa (GNPF-U). The rally is to protest the burning incident of a flag allegedly bore the message of tauhid, one of Islam’s core teachings, during the celebration of National Santri Day in Garut last month. 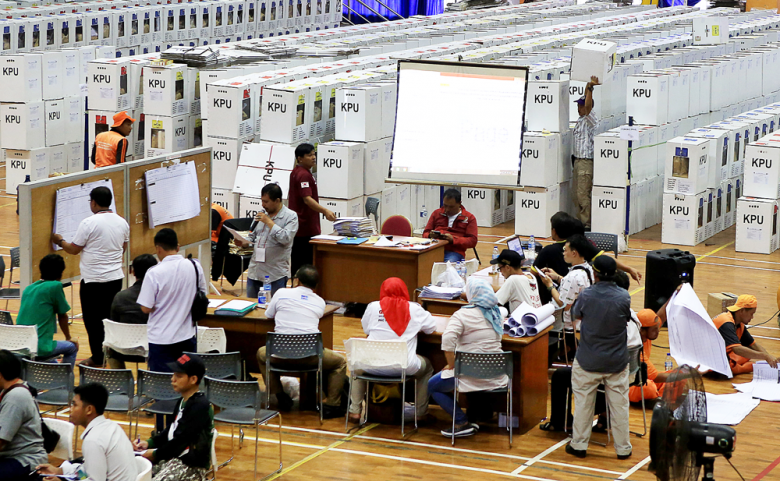 Following the arrest of Taufik Kurniawan, House deputy speaker and also the National Mandate Party (PAN) deputy chairman, for alleged bribery, PAN is reportedly looking for his potential replacement. Hanafi Rais, son of PAN patron Amien Rais, and Mulfachri Harahap, chairman of PAN’s House faction, have been rumoured to replace Taufik as the new deputy speaker. Drajad Wibowo, PAN’s vice chairman of the honorary council, said that the suggestion of Hanafi or Mulfachri replacing Taufik first came up in several discussions. Regardless, the suggestion has yet to be officially discussed in PAN’s central executive board (DPP). A different statement was made by PAN deputy treasurer Asri Anas. 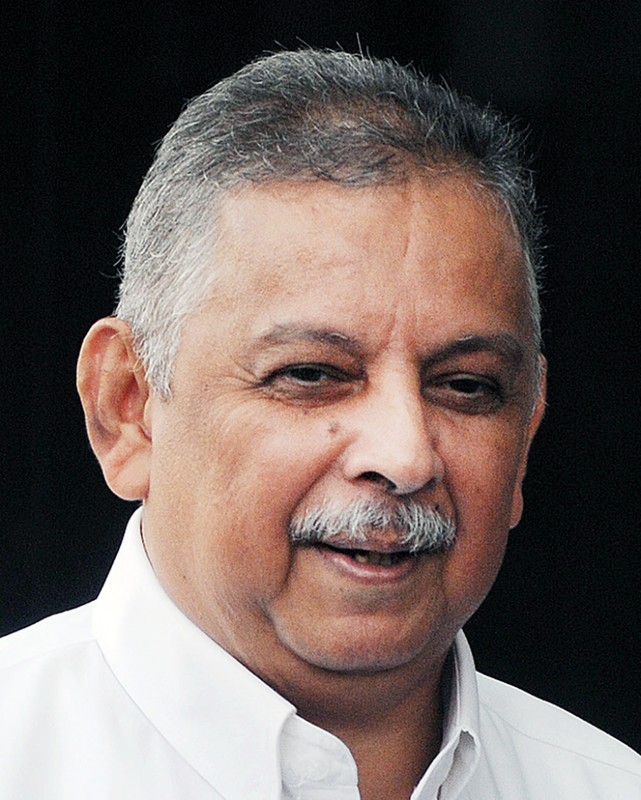 According to Asri, PAN’s DPP has convened a meeting on Oct. 31, during which Hanafi was recommended to replace Taufik. The recommendation, however, still needs to be lodged to the party’s honorary council. Property permit reform has yet to be implemented optimally, whereas property developers face complicated bureaucratic permit issuance, ineffective and costly process. Meanwhile, a public report suggests that the Online Single Submission (OSS) system, which is meant to overcome bureaucratic issue, has yet to be fully integrated into local government bureaucracies. 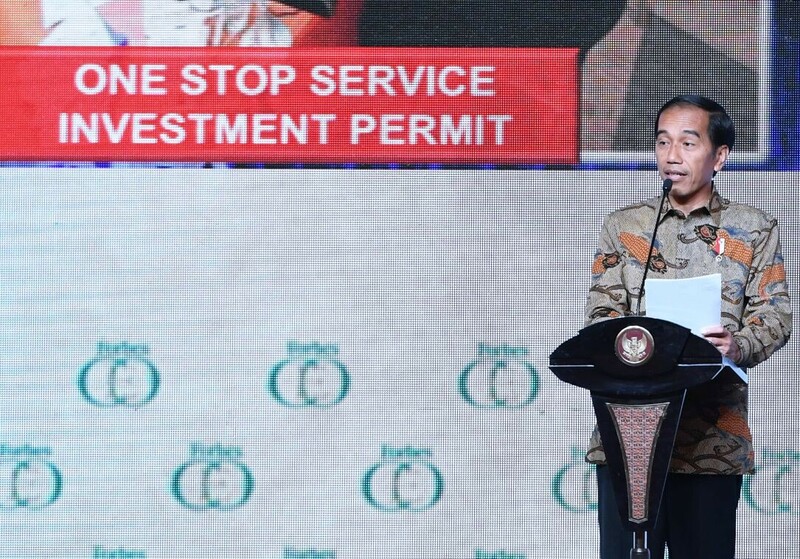 Real Estate Indonesia (REI) chairman Toto Lusida said there are still at least 48 steps over five institutions that property developers needed to fulfill in order to obtain operational or business permit. The latest World Bank’s report on Ease of Doing Business Indonesia 2019 revealed at least 191 days are needed to obtain a construction permit in Jakarta while only 54 days in Kuala Lumpur and 118 days in Bangkok. 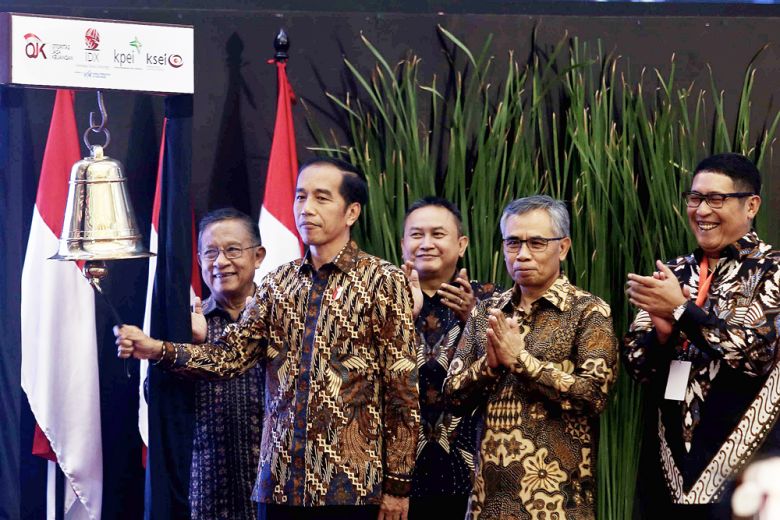 The first day of the 14th Indonesian Palm Oil Conference 2018 (IPOC) in Bali solidified government and business commitment to counter the negative campaign directed towards Indonesian palm oil and its derivatives. Trade Minister Enggartiasto “Enggar” Lukita and Coordinating Economic Minister Darmin Nasution were surprised by the growing black campaign against Indonesian palm products lately, in spite of the implementation of sustainable palm oil principles. Darmin said that Indonesian Sustainable Palm Oil (ISPO) has fulfilled 12 of 17 Sustainable Development Goals criterion. Tensions between businessmen and labor unions are growing higher following the announcement of 2019 minimum wage announcement on several regions on Thursday. Indonesian Employers Association (Apindo) deputy chair Harijanto, for instance is among the opposition to the increasing minimum payroll. Harijanto argued the rise was too high, given the slowing business growth in the third quarter. According to Bloomberg data, the average business in Indonesia face 33.15 percent declining profit in third quarter in 2018. Meanwhile, Confederation of Indonesian Workers Unions (KSPI) president Said Iqbal disagrees with Government Regulation No 78/2015 that sets the mechanism for minimum wage increase. He argued that the mechanism sets insufficient wage increase and leans towards cheap wage policy. Food price increase pushes October Inflation to 0.28 percent. The Statistics Indonesia (BPS) latest inflation data revealed year-to-date inflation at 2.2percent and 3.16 percent year-on-year inflation. BPS head Kecuk Suhariyanto said chili price increase has triggered inflation. Nevertheless, he is confident that the 3.5 percent inflation target can be met since it the latest increase was still at a manageable rate and below the threshold.